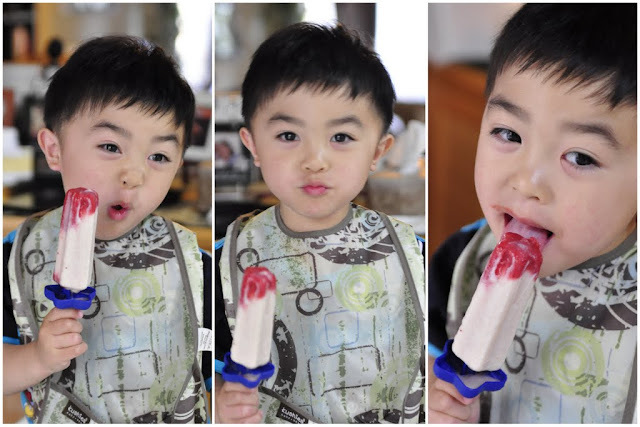 We tried this yummy Popsicle when we stopped by at The Satriyas house one afternoon. Max and Toby cried when they finished their share. I was thrilled and couldn't wait to make it as soon as Bertha published the recipe on her blog. YeeHaa!!! Popsicles molds found at Daiso - Thanks to Kumala! Thank you for sharing the recipe, Kudhe. You ROCKS!